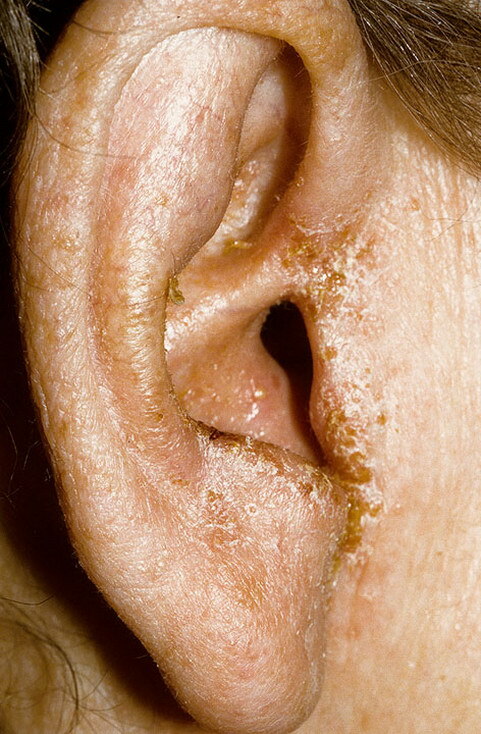 Dermatitis of the ear canal is itching, scaling, flaking, and swelling of the skin of the ear canal and skin at the entrance of the ear canal. 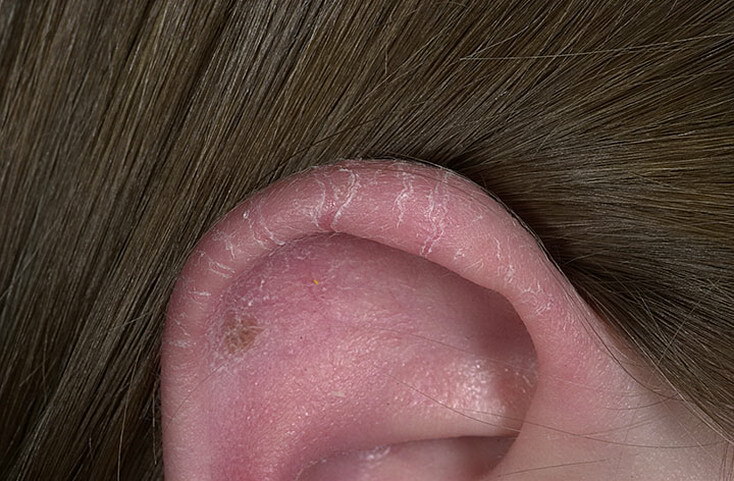 Contact dermatitis of the ear canal is an allergic reaction to triggers such as nickel-containing earrings and numerous beauty products (for example, hairsprays, lotions, and hair dye). 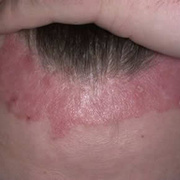 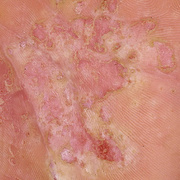 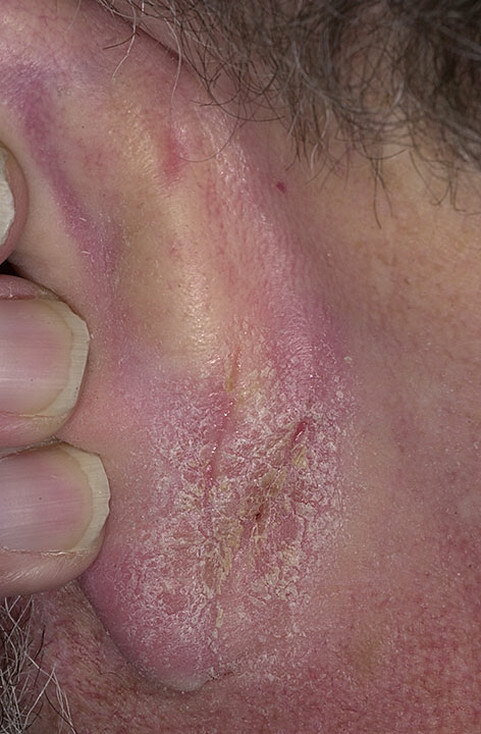 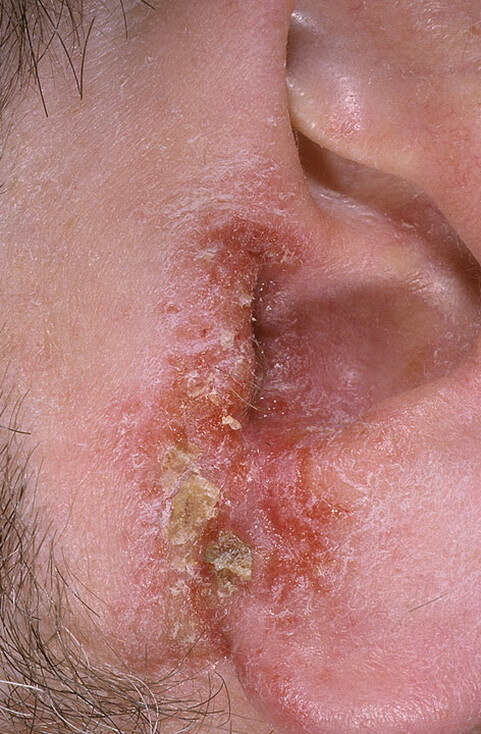 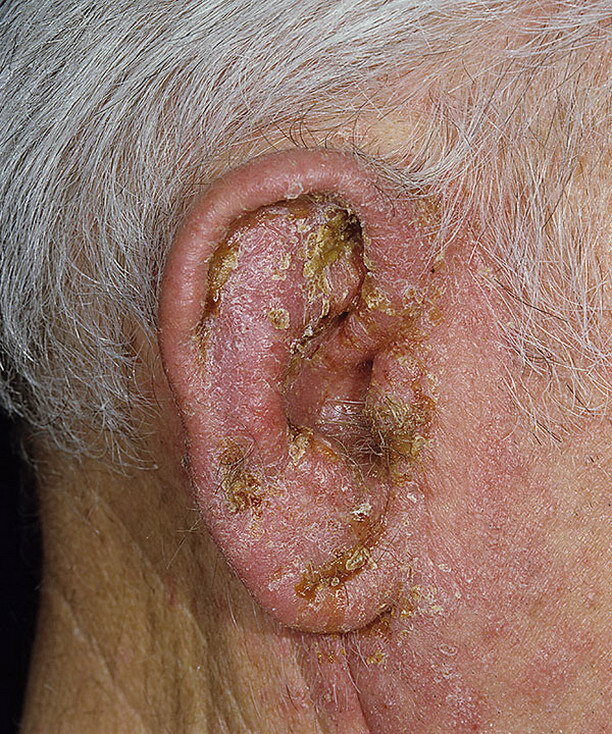 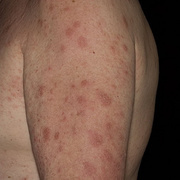 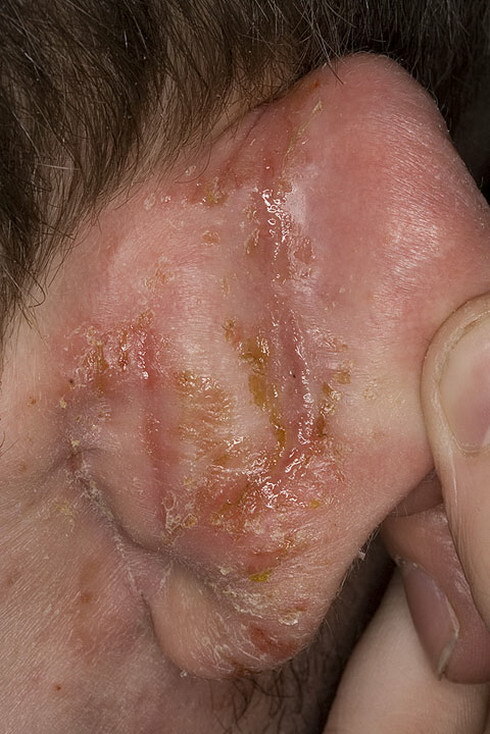 Aural eczematoid dermatitis of the ear canal can occur spontaneously in some people who have certain kinds of dermatitis-like conditions such as seborrhea and psoriasis. 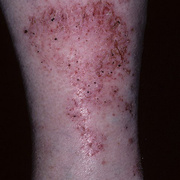 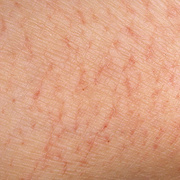 Both types of dermatitis cause itching, redness, a clear discharge or moisture, and peeling, darkening, and painful cracking of the skin. 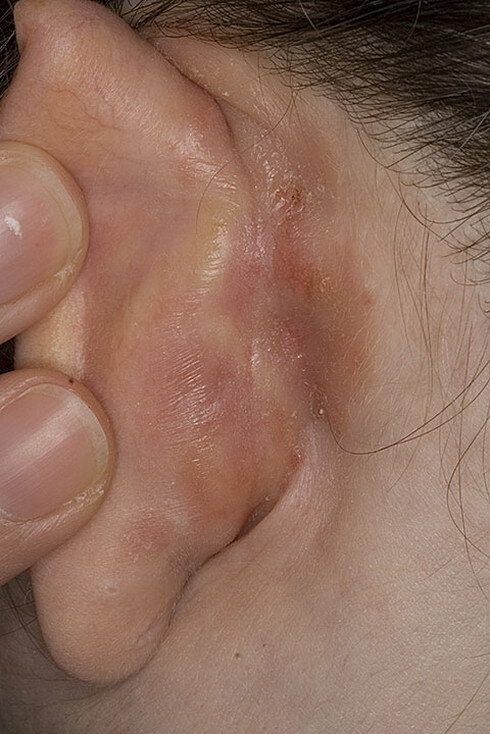 The skin irritation and cracking may allow an infection caused by bacteria (acute external otitis) to develop. 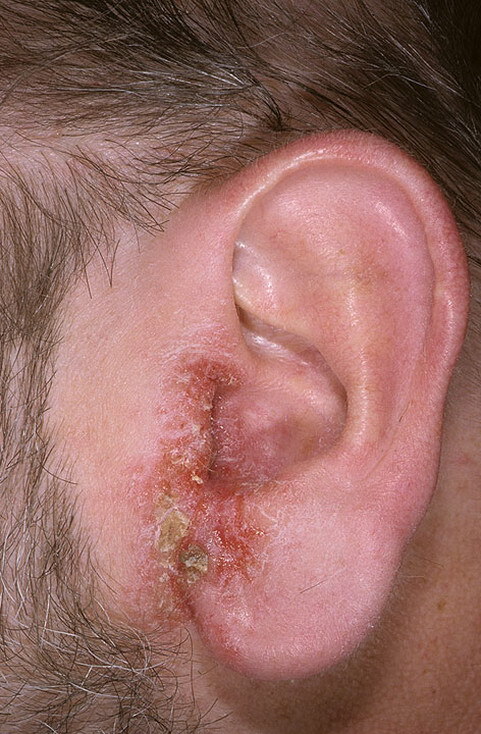 The first symptom of a bacterial infection is typically severe ear pain. 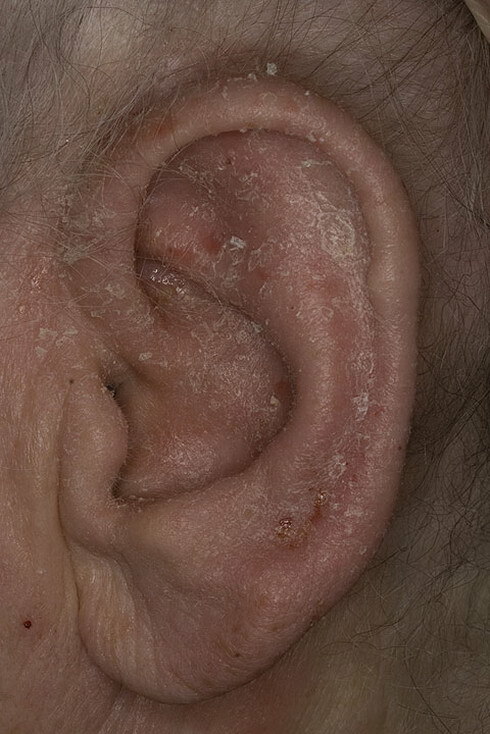 To treat contact dermatitis, people should eliminate allergic triggers, especially earrings and possibly even hearing aid molds. 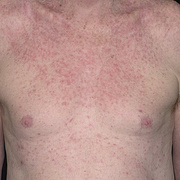 Trial and error may be needed to identify the allergic trigger. 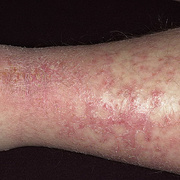 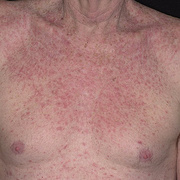 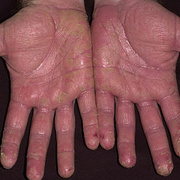 Doctors give people a cream containing a corticosteroid such as betamethasone to decrease swelling and itching. 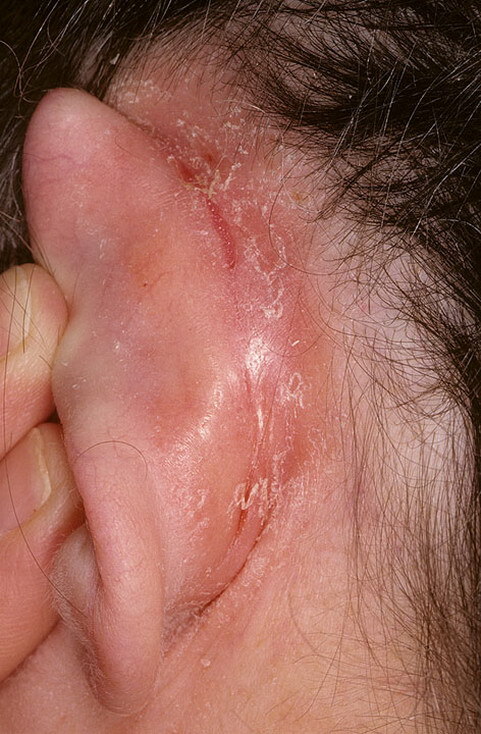 People should avoid putting cotton swabs, water, and other possibly irritating substances in the ear.